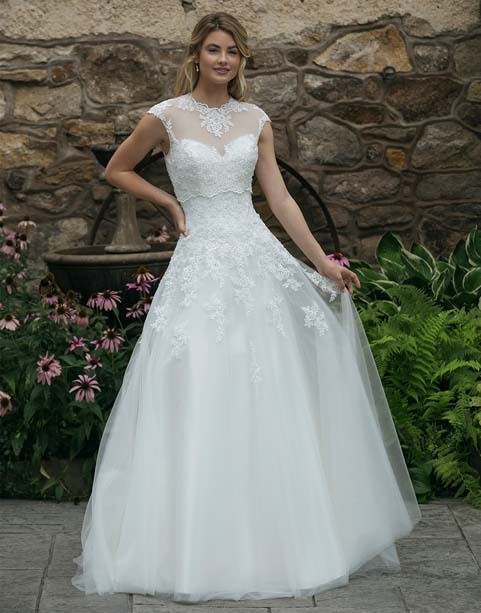 two look in one with this fit and flare ballgown and matching jacke. Wow your guests when you remove the jacket to reveal a portrait neckline encrusted with embelised lace motifs. A truely versatile gown.